Good news: I am about ready to send my revised YA manuscript off to my editor. It feels like all I've done for the past month is work on this book. I hope I can share more about this project soon - I don't even have a title yet. Bad news: I still worry it's not good enough. I've never been this worried about a book before, and I'm not sure what that means exactly. Good news: I had a fabulous time on a writing retreat this past weekend in Midway, Utah. It is so beautiful there, and these ladies are so fun to hang out with. From left to right, top to bottom, Irene Latham, Rachel Hawkins, Emily Wing Smith, Mr. Moose, Lindsey Leavitt and me. Bad news: It was like the calm before the storm. Last night the dog hurt her leg running down the stairs and I have to take her in for an x-ray today. Freshman son wants to go out for track and I just learned he has to get a physical before he can start practice next Monday. I have to have some dental work done tomorrow. And I swore I'd get started on taxes this week. I hope our bank account can survive all the madness. And me too, of course. Good news: Some exciting news is in the works. Bad news: I can't say anything about it yet. I've missed you all! Hope everyone is doing well. 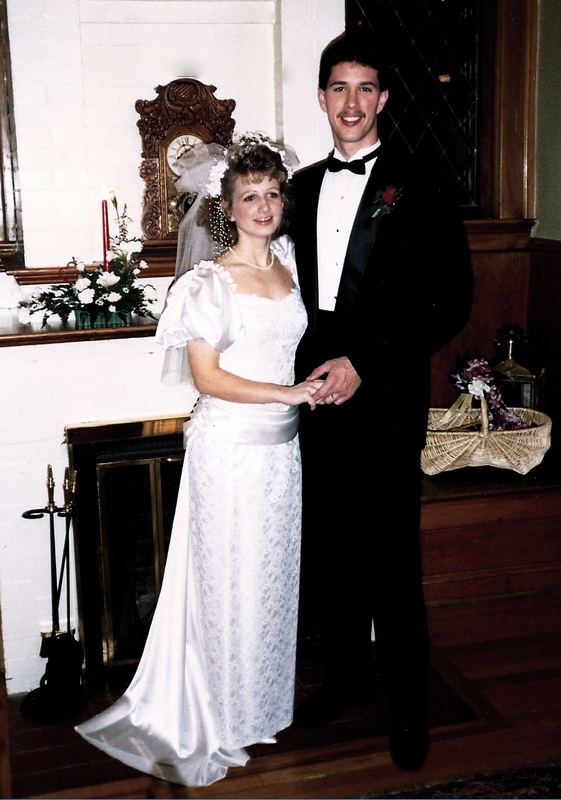 Twenty two years ago, I married my best friend on a snowy winter night. Yes, I was a hopeless romantic young thing who believed what better day to say "I love you forever" than on THE day of love. I'm in love with love!! If you've read my books, that will come as no surprise to you. I'm also still in love with my husband, twenty two years later. Lucky me! I usually hate to read, but I just read.... and then she goes on to tell me how she read one of my books in one day and she loved it or whatever. Now, I am thrilled that you read my book and enjoyed it. YAY! But I'm sad to see that you think you hate reading. Because I don't think you really do. I think you are maybe just very particular with your tastes and lots of books aren't your cup of tea. So guess what. You have to work a little bit harder to find books you'll like. But that's the great thing about books for kids and teens today. There are SO MANY to choose from! I know it can be discouraging to have friends who can easily walk into a library, pick a book off the shelf because the cover looks cool, and be happy with it when they start reading. Oh well. You aren't like that. You might have to ask your librarian or a teacher or your parent for help in finding books that you might enjoy. I have one child who is a very selective eater, due to sensory integration disorder. He doesn't hate eating. He just doesn't like a lot of textures found in foods, and so, he's very selective about what he eats. I think it can be the same for some kids and reading. It's not the reading itself that they hate, because when they find a book that "fits them" they'll happily read it and ask for more. Yesterday a mother of a 4th grader wrote to me, so happy that her daughter read IT'S RAINING CUPCAKES, because she said she has always hated to read. She ordered SPRINKLES AND SECRETS for her, because her daughter couldn't stop talking about the first book, and she wanted to keep the momentum going. I told her, now you know your daughter likes realistic, girly reads, so you can help her find books "like that," and I went on to give her some suggestions. Are you a picky reader or do you know anyone who is? I'd love to hear from you, and do you think I'm right, that it's not so much about hating to read as it is about finding books that are a good fit? I'll be participating in an author fair, put on by librarians in Camas, WA, on Thursday, February 2nd. The event is open to the public from 7 to 8 p.m. Feel free to bring books for me to sign! Books will be available to purchase at the fair as well.